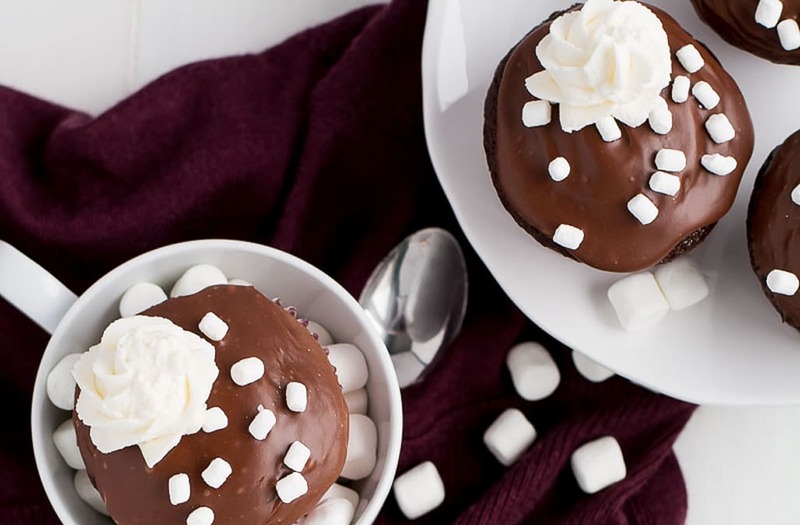 'Tis the season to wrap yourself up in a blanket next to the fireplace with one of these rich and fluffy Hot Chocolate Cupcakes in hand. While I dread the negative 20 degree weather during the winter, it is made a least a little bearable with warm tasty drinks. 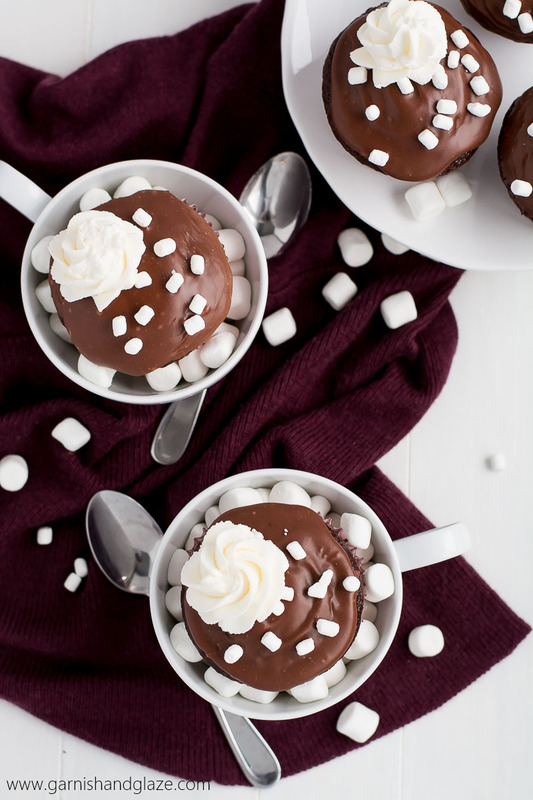 Hot chocolate is definitely a favorite of mine, as are cupcakes so BAM! 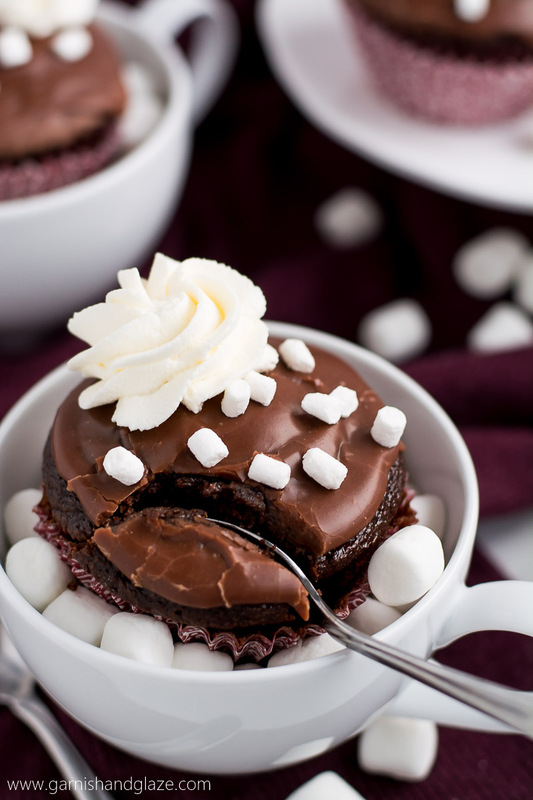 Hot Chocolate Cupcakes! Aren't they cute!? The chocolate cake and icing used for these cupcakes is so easy to throw together. 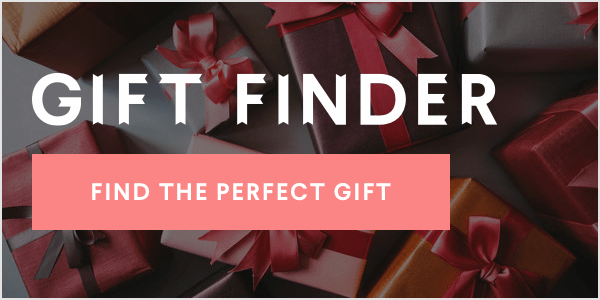 It has a fluffy, moist, sweet chocolate crumb and is topped with a smooth chocolate icing that is similar to the frosting on Texas Sheet Cake. The frosting is made over the stove top and placed onto the cooled cupcakes while still warm. It sets up quickly so you have to work quickly to sprinkle on the tiny (super cute) marshmallows so that they'll stick. Then, once the icing cools and right before serving, add a squirt of whipped cream to top it off and give it more of a hot chocolate vibe. Serve in mugs for extra cuteness! Preheat oven to 350 degrees F and line muffin tin with baking cups. In the bowl of a stand mixer, mix flour, cocoa, sugars, baking powder, baking soda, and salt. Add the buttermilk, eggs, vegetable oil, and vanilla. Mix until smooth. Scrape bowl as needed. With the mixer on slow speed, add the hot water and mix until combined. Use an ice cream scoop or ¼ cup measuring cup to fill baking cups ⅔ full. Bake for 16-18 minutes or until toothpick comes out clean. Let cool in pan for 5 minutes and then move to a cooling rack to cool completely. Place butter, cocoa powder, and milk in a small sauce pan and cook over medium heat until butter is melted. Remove from heat and whisk in the powdered sugar until smooth. 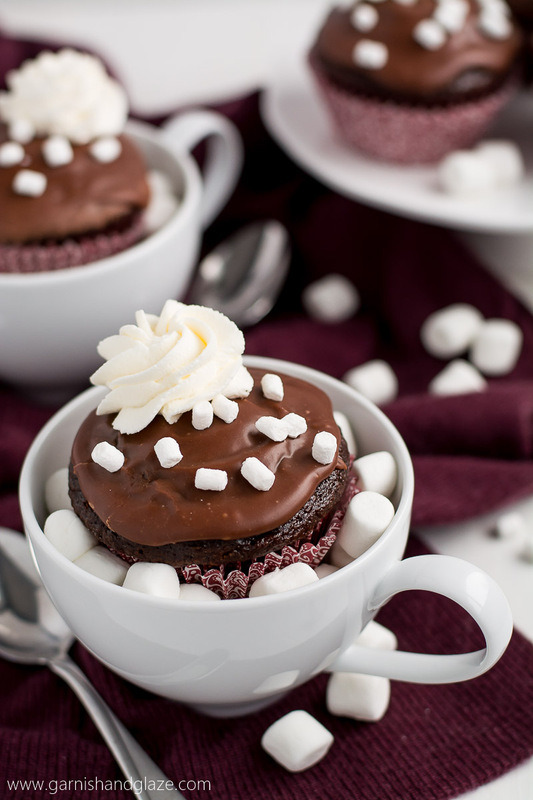 The post Hot Chocolate Cupcakes first appeared on Garnish and Glaze.